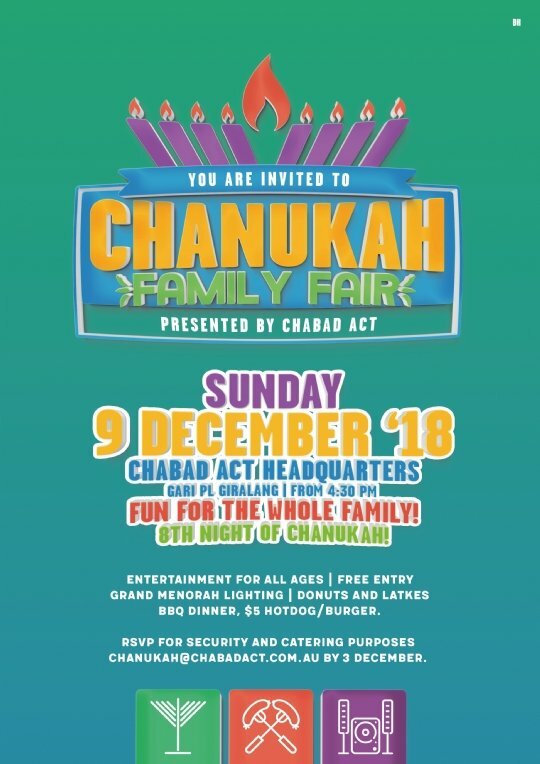 Our two main events for Chanukah 2018 are the annual Chanukah celebration in the ACT Parliament (on Dec 3rd for adults), and the Chanukah Family Fair at Chabad ACT HQ (on Dec 9th 4:30PM on). Flyers below. 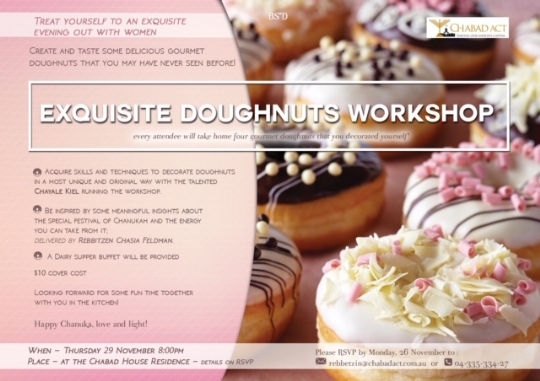 Rebbetzin Chasia is also hosting a Pre-Chanukah donut workshop event for woman. Please see flyer below and click here to RSVP. To redirect to our Chanukah Website with all you need to know about Chanukah, step by step how-to guides, including interesting articles and delicious recipes, click here. 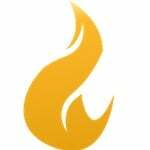 For volunteering/sponsorship opportunities and all other enquiries please contact us here. 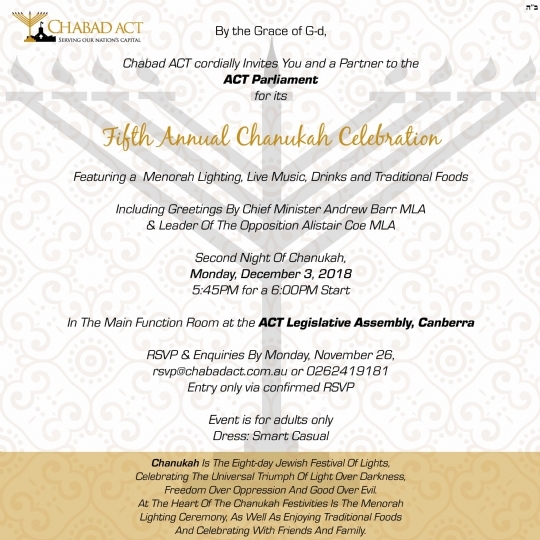 Please note that places for the ACT Parliament popular event, places are limited and fill up very quickly. In the event of an oversubscribe before the RSVP due date, preference will be given to Chabad ACT Financial Members and Donors.